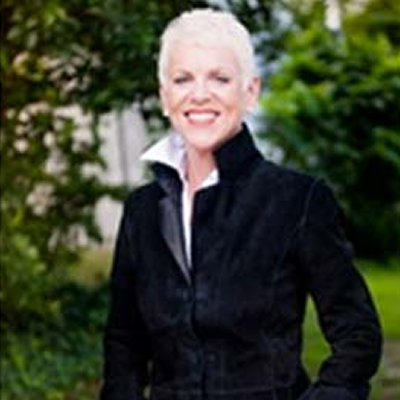 Ellen Williams, mezzo-soprano, has performed extensively throughout the United States and Europe, and local appearances have been with the Winston-Salem, Greensboro and North Carolina Symphonies. Her concert repertoire includes works ranging from Bach and Handel to Rossini and Stravinsky. Ms. Williams has been on the North and South Carolina Touring Artist rosters with duo partner, Terry Rhodes, and together they premiered Stephen Jaffe’s FORT JUNIPER SONGS in Weill Recital Hall at Carnegie Hall in 1990. They have presented concerts in Italy and Germany where Ms. Williams gave a series of master classes in Essen-Werden. Along with Ms. Rhodes, she released a CD of American vocal duet music on the Albany label in 1995, and their second, GRAND LARSEN-Y, was released in 2005 by Albany of Libby Larsen’s vocal music. In June 2006 she sang the role of Berta in Rossini’s IL BARBIERE DI SIVIGLIA with the Opera Company of North Carolina. In October of that year she and Ms. Rhodes presented two recitals in California, one at Cal State LA and the other at UC Santa Barbara. A CD of the Schoenberg chamber version of Mahler’s DAS LIED VON DER ERDE with Ms.Williams as mezzo soloist was released January 2011 on the Centaur label. Ms. Williams holds her DM from Florida State University, the MM from New England Conservatory of Music, and a BA from Meredith College where she has served as Coordinator of Vocal Studies since 1992. She formed Capital Opera with colleague, Joel Adams, in 2003, and in 2010 served on a committee that merged Capital Opera with the Opera Company of North Carolina. She now is on the Board of Directors for the North Carolina Opera. She is Co-founder of the International Young Artists Project Inc.
Liz LaBelle, soprano, has enjoyed a full time career as performer and music educator for over 25 years. Her professional training began at the Crane School of Music, State University of New York at Potsdam with Patricia Misslin, and continued for several years in Los Angeles and New York with Dr. Maurice Allard, Jack Metz, Martin Katz and Carlos Noble. She has performed throughout the US as soloist with several chamber and choral ensembles including the Allard Singers, the Irvine Master Chorale, The Orange County (California) Master Chorale, and the Concert Singers of Cary. She has sung with the Los Angeles Philharmonic, the Philadelphia Orchestra and in 1992 was a featured soloist with the Baha’i World Congress Chorus in a Carnegie Hall Performance. She toured Europe in 2001 with the International Baha’i Choir, performing as soprano soloist in Slovakia, Spain, France, Switzerland, and Germany. In Summer, 2011, Liz served on the faculty of Varna International’s Opera Workshop, in Varna, Bulgaria, with Dr. Ellen Williams and Dr. Terry Rhodes, where they presented Mozart’s The Magic Flute in the Varna Opera House. She is Co-founder of the International Young Artists Project, a summer program of intensive study and performance of opera and musical theater in Italy. 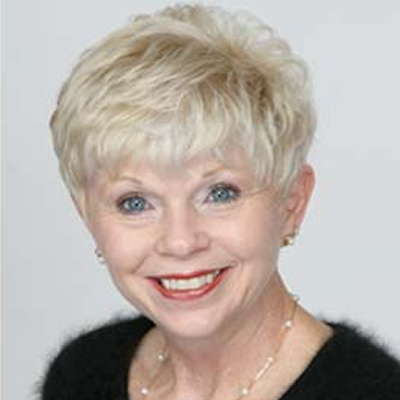 She holds Permanent National Certification in Voice, is Past District Governor of the North Carolina Chapter of NATS, and Past-President of the North Carolina Music Teachers Association. Liz is also a member of the International Federation of Musicians with Rotary International. She is a frequent clinician and workshop presenter on the topics of music theater technique, private studio practices, and teaching the young singer. Her lecture demonstration Teaching Children to Sing was presented at the 2006 National NATS Conference in Nashville, Tennessee. Throughout her long career as a voice teacher, Liz has trained hundreds of aspiring singers in her Los Angeles, New York and North Carolina studios. Her students regularly appear in productions of North Carolina Theater, Raleigh Little Theater, Theater in the Park, and other local theater groups. Still others enjoy professional careers in film, theater, TV and as music educators. She currently teaches students age 5 to adult in her Cary studio. Michael Dixon was born in Frankfurt am Main, Germany. His college Studies include a Bachelor of Music from State University College at Fredonia, New York; Masters of Music and Masters in Opera/Music Theater from Southern Illinois University, Carbondale Illinois and a 2 year study at Indiana University, Bloomington, Indiana toward a Doctorate. His voice teachers included: Michael Presti, New Orleans, Marjorie Lawrence, Carbondale Ill. and Camilla Williams, Indiana University. His conducting teachers included: Richard Sheil, Jan Harrington, Fiora Contino, Julius Herford and Margaret Hillis. Michael has taught at Xavier University in New Orleans, was conductor for the Musical CATS in Hamburg, Amsterdam and Paris, was Music Director for the theater in Lüneburg, Germany and is now Voice Professor at the University of the Arts (Universität der Künste) in Berlin. In addition to his teaching duties, Michael is still active as a singer and conductor. 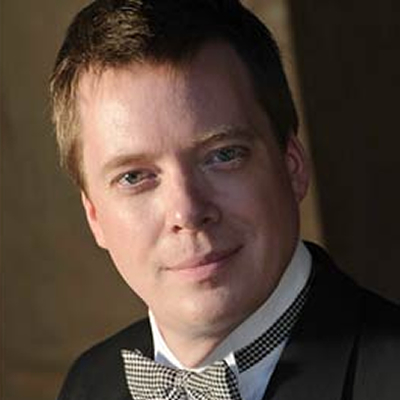 Timothy Sparks has appeared with opera companies in the United States and Europe, including The Israel Vocal Arts Institute, Operafestival di Roma, Jacksonville Lyric Opera, First Coast Opera, Opera Company of North Carolina, Greensboro Opera Company, Triangle Opera, National Opera Company (A. J. Fletcher Opera Institute), Brevard Music Center, Capital Opera-Raleigh, and Durham Savoyards, Limited. His representative operatic roles include Conte Almaviva, Anatol, Rodolfo, Don José, Nemorino, Don Ottavio, Ferrando, Prince Ramiro, Jaquino, Ralph Rackstraw, and Enoch Snow. With a commitment to contemporary music, Mr. Sparks has participated in the premiere of several new stage works by Joel Feigin, Benton Hess, Tom Lohr, and Zachary Wadsworth. Highlights of these performances include the role of Sebastian in Long Leaf Opera’s world premiere production of Shakespeare’s Twelfth Night, by Joel Feigin, and during Long Leaf Opera’s inaugural 2007 Summer Festival, the role of Adonis in a premiere of Venus and Adonis by Zachary Wadsworth. The tenor’s 2002 performance in Starbird, a children’s opera by Henry Mollicone, with The Opera Company of North Carolina was captured on videotape and rebroadcast on PBS in April of 2005. In concert, Mr. Sparks has appeared with the Hochschule der Künste in Berlin, International Young Artists Project (Monte San Savino, Italy), Canton Symphony Orchestra, Statesboro-Georgia Southern Symphony, North Carolina Symphony, Eastern Music Festival, Belleayre Music Festival, Breckenridge Music Institute and Festival, University of Notre Dame, Duke Artists Concert Series, Smedes Parlor Concert Series at St. Mary’s School, North Carolina Bach Festival, North Carolina Master Chorale, Concert Singers of Cary, Voices-The Chapel Hill Chorus, Choral Society of Greensboro, Greensboro Oratorio Society, Chamber Orchestra of the Triangle, Tar River Orchestra and Chorus, Coastal Carolina Community Chorus, and Hillyer Community Chorus. Mr. Sparks has performed the tenor solos in oratorio and concert works by Bach, Beethoven, Britten, Gounod, Handel, Haydn, Mahler, Mendelssohn, Mozart, Alice Parker, Puccini, Respighi, Rossini, Saint-Saëns, and Schubert. 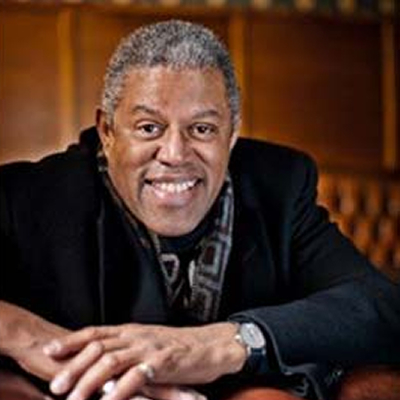 In April of 2006, he returned to Ohio as the tenor soloist for the Canton Symphony Orchestra’s 25th Anniversary celebration performance of Beethoven’s Ninth Symphony. In January 2011, his recording of the Arnold Schönberg chamber orchestra transcription of Mahler’s Das Lied von der Erde was released by Centaur Records, Inc. In April 2012, Mr. Sparks was a soloist with the European Youth Orchestra, conducted by Vladimir Ashkenazy, in a performance of Beethoven’s Choral Fantasy, Op. 80. Equally comfortable in operatic roles, oratorio, or as a recitalist, Mr. Sparks is active as a soloist throughout North Carolina and the United States. Mr. Sparks currently serves as a Lecturer in Voice at UNC-Chapel Hill and was an Instructor of Voice at Meredith College for ten years. Many of his voice students have gone on to top conservatories, to then pursue performance opportunities with regional opera/theater companies, symphonies, and Broadway national tours. Also, his music education students have all found placement with high profile music programs in secondary school systems. Mr. Sparks is an active adjudicator, a member of N.A.T.S., having served as a state district officer and as the Mid-Atlantic Regional Governor, and is a member of Pi Kappa Lambda. The tenor received his BM in Vocal Performance from the University of North Carolina at Chapel Hill and MM with the Performer’s Certificate in Voice from the Eastman School of Music. His teachers include Joel R. Adams, Dominic Cossa, Fredric Moses, Dr. Terry Rhodes, and John Maloy. Stella Peruzzi was born in Florence. Her musical experience started when she began to play the piano, with the encouragement of her maternal grandmother. Her great-grandmother, in the early 1900’s was also esteemed as a light opera singer at the Teatro Dovizi in Bibbiena (Ar). After achieving a Classical High School diploma, she joined the Polyphonic Choir in the Cathedral of her town, growing to love sacred music, and beginning her experience as a singer. In 1999 she enrolled at the “Luigi Cherubini” Music Conservatory in Florence, where in 2004 she obtained her upper diploma in Opera Singing with the soprano Marta Taddei with excellent marks (9.30). In the meantime she was a pupil of the soprano Slavska Taskova. During her time at the Conservatory she took part in a number of initiatives, including the internship on Scenic Art run by Alessio PIzzech, the Master Class run by the Maestro Claudio Desderi, an internship on “Evolution of the Strasberg Method”. In March 2006 she collaborated with Maestro Sanpaoli and the actress Ivana Monti performing several of the composer’s pieces taken from his latest piece “Vola alta parola” in honour of the poet Mario Luzi. She also collaborated with Arnoldo Foà. She was chosen for the Venetian Masked Choir in Roberto Benigni’s film “La vita è bella”. In June 2006 she was “Auge” in the opera ”Ademira” by A. Lucchesi (first musical representation in modern times, in the Lisbon version) directed by Massimo Gasparon, obtaining an excellent review in the “Amadeus” magazine and from the musical critique Gualerzi. In February 2007 she took part in an internship run by Maestro Bruno DeSimone. Also in 2007 she won the “La bottega dell’opera 2007” Competition run by the Cimarosa Academy in Florence. 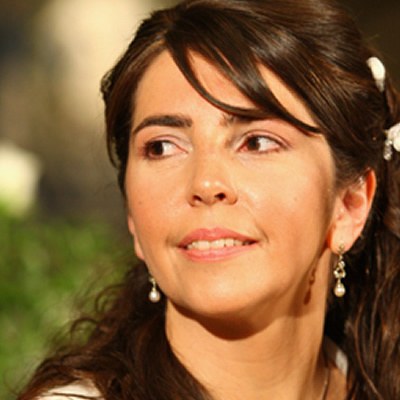 In September 2007 she played the role of Fiordispina in the opera “L’Impresario in angustie” by D. Cimarosa. She took part in an internship run by Maestro Michael Aspinall. In November 2007 she was invited to be a guest on Italian TV channel Rai Uno in the programme “Uno mattina” to perform Puccini airs on the anniversary of the Maestro’s birth. She specialized at the “Giuseppe Verdi” Music Academy in Prato in light opera repertoire under the direction of Alessandra Rossi DeSimone. In April 2008 she was Liù in Turandot by G. Puccini with the Maggio Musicale Fiorentino Formazione Giovani. She took part in May 2008 in the Estate Regina in Montecatini Terme performing unpublished Puccini airs again with the Maggio Formazione Giovani. In April 2009 she played Giovanna D’Arco in the Festival Pucciniano in Torre Del Lago in the opera of the same name by Giuliana Spalletti. 2010 was an intense time of concerts and she played Agata in the contemporary opera “I della Robbia” by the Maestro Leonardo Rossi. In 2011 she was soloist in the contemporary opera by Karl Jenckins “L’homme armé a mass for peace” in Perugia, Rome and soon to be in Piacenza. She played Susanna in the Marriage of Figaro in July 2013 directed by the Maestro Paolo Bellolli permanent director at the Pomeriggi Musicali at the Scala in Milan. In March 2014, she was guest artist in a series of concerts and Masterclasses at UNC-Chapel Hill, and Meredith College, Raleigh, NC. In September 2014 she was invited to open the Florence Opera Season. Ms. Peruzzi teaches at the Associazione Musicale S. Donato in Arezzo and collaborates with Meredith College in North Carolina. This will be her fifth year of teaching voice and Italian diction for the International Young Artists Project. He is Music Director of the Friuli Venezia Giulia Chamber Orchestra, Principal Guest Conductor of the Cantelli Orchestra, of the Filarmonia Veneta Orchestra, of the Pro Musica Salzburg Orchestra, and Artistic Director of the Villa Codelli’s Festival in Mossa. From 2006 to 2008 he has also been Music Director of the Cantelli Orchestra in Milan. 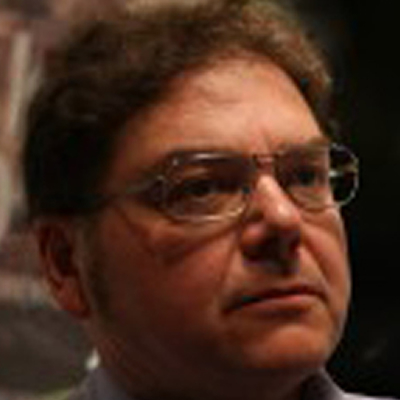 He has won many awards, including second prize at the “Gusella” Conducting Competition in Pescara in 1993, the prize for best performance at the Opera Conducting Competition in Caserta in 1994 and, in the same year, the first prize at the International Austro-Hungarian Conducting Competition of Vienna and Pécs. He has conducted several Orchestras such as the Wiener KammerOrchester, the Radio Symphony Orchestra Cracow, the State Opera Prague, the Pro Musica Salzburg, the Ploiesti Philharmonic, the Izhevsk’s Russian State Symphonic Orchestra, the Pécs Simphony Orchestra, the Bacau Philharmonic Orchestra, the Sofia’s Soloists, the Santo André Symphony Orchestra, the Gainesville Symphony Orchestra, the Norwegian Academy Symphony Orchestra, the St. Christopher Chamber Orchestra of Vilnius, the Cantelli Orchestra, the Orchestra Filarmonia Veneta, the Trieste Opera House Orchestra, the Cagliari Opera House Orchestra, the Toscanini Philharmonic Orchestra, the Orchestra di Padova e del Veneto, I Pomeriggi Musicali of Milan the Sanremo Symphony Orchestra, the Bari Symphony Orchestra, the Lecce Simphony Orchestra, the Orchestra Filarmonica Marchigiana, the Milano Classica, the Orchestra Stabile “Donizetti” of Bergamo, the Pescara Symphony Orchestra, the Genova Philharmonic, the Spoleto Opera House Orchestra, the Orchestra Sinfonica “Gianandrea Gavazzeni”, the Alpe Adria’s Soloists, the Serenade Ensemble, with the participation of soloists of international repute, such as Joaquin Achucarro, Giuseppe Albanese, Giovanni Angeleri, Emmanuele Baldini, Darko Brlek, Enrico Bronzi, Alessandra Carani, Mario Carbotta, Nazzareno Carusi, Max René Cosotti, Gabriella Costa, Myriam Dal Don, Silvia Dalla Benetta, Giulio Franzetti, Roberta Gottardi, Franco Gulli, Raymond Guyot, Kerstin Ibald, Enrico Intra, René Kollo, Eduard Kunz, Karine Levasseur, Laura Magistrelli, Daniela Mazzucato, Fabrizio Meloni, Massimo Mercelli, Federico Mondelci, Andrea Montefoschi, Nair, Angelo Persichilli, Cheryl Porter, Francesco Quaranta, Alexandre Razera, Alexandra Reinprecht, Mauro Rossi, Luisa Sello, Črtomir Šiškovič, Giacobbe Stevanato, Alican Süner, Antal Szalai, Wilfried Tachezi, François-Joël Thiollier, Mariangela Vacatello, Lorna Windsor in Italy’s most important cities as well as in Austria, Belgium, Brazil, Croatia, Czech Republic, Germany, Hungary, Lithuania, Norway, Poland, Rumania, Russia, Slovenia, Spain, Sweden, Switzerland, and in the USA. Following these successes, he was appointed Professor of Conducting at the Conservatorio “Giuseppe Verdi” of Milan. He has also taught at the Centro Lirico Internazionale of Adria and at the European Master classes held by the Teatro Lirico Sperimentale of Spoleto where he was regularly entrusted with the preparation of the Theatre Orchestra which he himself conducted on various occasions in Italy and abroad in both symphonic and opera repertoires. 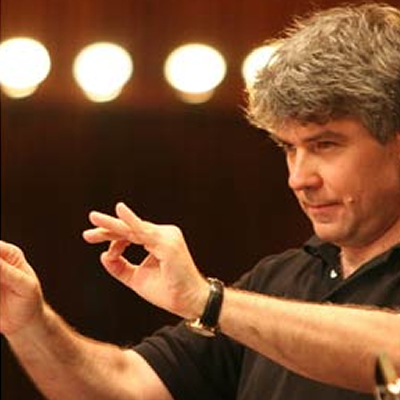 Since 1997 he has been teaching at the European Conducting Academy. He is titular Professor of Chamber Music and Head of the Orchestra Conducting and Chamber Music Department at the Conservatorio Tartini in Trieste, and Professor for Conducting at the Berliner Meisterkurse, and at the International Opera Workshop OperAverona. He has also been Guest Professor at the Vienna Music University, at the Norwegian Music Academy, and at the Conservatoire Royal de Mons. After a wide teaching activity, Paolo Bellocci gained vast experience as piano maestro in singing courses, cooperating with international artists, among which celebrities such as Fedora Barbieri, Gino Bechi and Margherita Rinaldi with whom he worked profitably for a long time. He is actually Maestro Collaboratore at the Fondazione del Teatro del Maggio Musicale Fiorentino, Florence Italy, where since 1988 he is working on the production of operas and ballets, together with the greatest orchestra leaders such as Zubin Mehta, Riccardo Muti, Claudio Abbado and stage directors like Luca Ronconi, William Friedkin, Zhang Yimou, Lev Dodin, Graham Vick. He took part in the most important tours of the Foundation, among which the memorable one in Bejing in 1998 with Tourandot in the Forbidden City; he was in Tokyo in 2001, 2006 and 2011 at the Bunka Kaikan and NBC theatres and at the Yokohama Opera House; in Germany at the Recklinghausen Festival and many others. Paolo Bellocci as musical promoter and competent in important public relations took part in organizing and producing great events, like the concert for the World Summit of Nobel Prizes in Rome 2004; in Florence he organized the concert in collaboration with the Arma dei Carabinieri and Rotary Medicea at the Teatro del Maggio Musicale Fiorentino; in Vatican- Rome the concert for Pope Benedict XVI and the President of Italian Republic Giorgio Napolitano, Zubin Metha conducting the Maggio Orchestra. Paolo Bellocci is Coordinatore Artistico at “Maggio Fiorentino Formazione”, Accademia della Fondazione del Teatro del Maggio Musicale Fiorentino since its foundation in 2001 where he guides many young talents in experiencing the musical scene through high professional training courses which represent a springboard towards international careers. He also organized and produced important concerts in Italy and throughout the world like the Concerts at the St. Petersburg Winter Palace, Marijnski Palace, Kovatchina Palace in June 2006; at the Hermitage Museum – St. Petersburg in July 2007 during the exhibition “Michelangelo at the Hermitage”, in collaboration with the Ministry for Media and Heritage, the Museum Department in Florence and the Italian Consulate in St. Petersburg; at the Czar’s Residence “Sarhose Selo”, together with the Music School in Fiesole; in Moscow at the “Novaja Opera” Theatre with young Italian singers and the Russian orchestra; lyric and symphonic concerts in Rumania, Australia, the Damascus Concert celebrating the 60th Anniversary of the Unicef World Foundation, for which he received an award for cultural commitment at the UN – New York. in 4th June 2011 Paolo Bellocci was honoured with the title of Perillustre Accademico at the 46th International Prize “Le Muse” in the Hall of the 500, Palazzo Vecchio, Florence. Born in Arezzo, he began violin studies in his hometown. Afterwards, he entered the “L. Cherubini” conservatory in Florence and brilliantly finished his studies under the guidance of Eddy Perpich. He was pupil of Corrado Romano at the Accademia Internazionale “L. Perosi” in Biella and he studied chamber music under Franco Rossi, cellist of the historic Italian Quartet. Moreover, he worked with Marco Fornaciari and Stefano Pagliani. He is constantly collaborating with numerous orchestras such as the Ensemble Fonè, Orchestra Sinfonica “Città di Gosseto,” Orchestra Sinfonica of S. Remo, Orchestra of the Teatro Regio of Parma, Città Lirica Orchestra, Orchestra of the Teatro “Goldoni” in Livorno, Florence Symphonietta, (with which he did several concert tours in Italy and abroad, performing as a soloist in prestigious venues like the Palazzo Vecchio and the Palazzo Pitti in Florence, the Palacio de Festivales de Cantabria in Spain among others), Orchestra Sinfonica of Ravenna, Orchestra Stabile “A. Toscanini” of Parma, Mitteleuropa Philharmonia of Milano, Orchestra Sinfonica of Udine, Orchestra of the Teatro di Messina, Orchestra da Camera Fiorentina, Orchestra of Festival Puccini and many more. He has performed in prestigious locations such as the “Great Hall” (Golden Hall) at the Musikverein in Vienna and the European Parliament in Brussels. He has been very active in performances of duo repertoire for violin/piano and a variety of other ensembles, with appearances throughout Italy, the Netherlands, Germany, and elsewhere. He has recorded or taken part in productions for the three Rai channels, Mediaset and Sky. He has an intense production of chamber music in violin and piano duo with whom he played in Italy and abroad (Netherlands, Germany, etc..) and other various instrumental ensembles. For eight years he was the artistic director of the “Monterchi Festival” in Monterchi, held at the Museo della Madonna del Parto of Piero della Francesca and for three years of the festival “Musica in Prospettiva” in San Sepolcro. 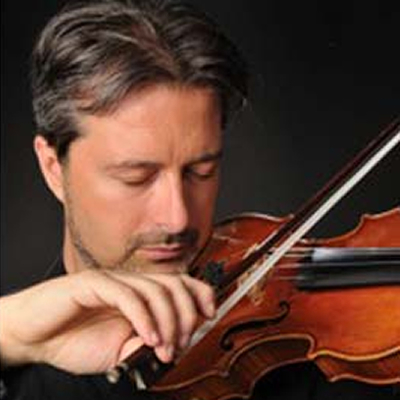 In 2011 he founded the orchestra “Città di Arezzo”, of which he is the president and concertmaster. The debut concert of the orchestra, featuring Academy Award Winner Luis Bacalov, received high acclaim both from critics and public, and the Medaglia di Rappresentanza from the Italian President of the Republic, Giorgio Napolitano.